HOKIANGA HAVEN is nestled on the Omapere beachfront opposite the historical Hokianga Harbour entrance with the magnificent Niwa, North Head ‘dune land‘ predominant. This spectacular harbour provided welcome shelter for the earliest Maori navigators and colonial adventurers. You too can come and delight in this inspirational landscape. Hokianga Haven’s self contained studio B & B offers top quality, spacious accommodation with private bathroom, super king bed, simple cooking facility plus BBQ and SKY TV in a delightful ground floor studio with independent entry and direct access to the beach. 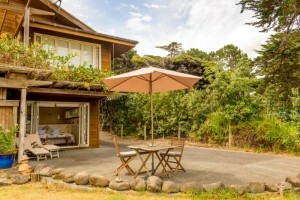 Hokianga Haven is within leisurely walking distance, by beach or road, to shops, restaurants, bars, takeaways, wharves and the picturesque South Head of Hokianga Harbour. 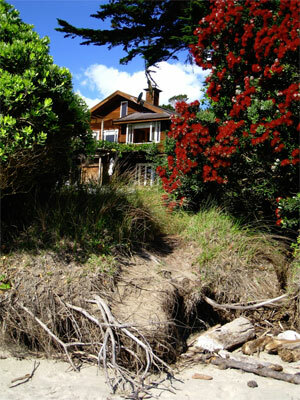 Other unique recreational activities include glorious Waipoua Forest, bush and coastal walks, safe swimming, sandboarding, fishing, horse riding or trekking, harbour cruises, visiting local artists, museum and historical sites. Experience the revitalizing energies of that extra special escape. 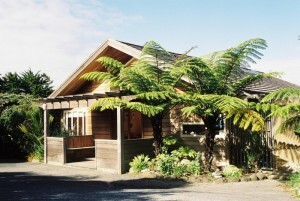 Succumb to the deep serenity of Hokianga Haven. Go here for further information about bookings and tariff.